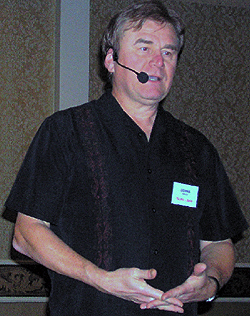 Dennis William Hauck is a researcher, author, and lecturer in consciousness studies. His primary focus is on levels of awareness and the mechanisms of transformation of consciousness. He works to document the evolution of a science of consciousness and merge various philosophical and scientific traditions into a unified theory of consciousness. He has also contributed to related areas, including psychology, the history of science, and the serious study of paranormal and mystical experiences. He is considered a leading authority on alchemy and Hermeticism. Hauck is curator of the Rosicrician Alchemy Museum, president of the International Alchemy Guild, and fouder of the Alchemy Study Program. More info on his career, books, articles, and lectures can be found at his webiste DWHauck.com. His complete bio is at http://dwhauck.com/bio.htm.